Your customers are probably your greatest untapped marketing resource. Marketers spend millions of dollars on traditional advertising while neglecting their greatest existing source of word of mouth: Their advocates. But do you really know who your true customers are? Did you know, for example, that recent research has found that women control 80 percent of U.S. spending (65 percent worldwide), and that 91 percent of women feel that advertisers don't understand them? If you are able to create a genuine and relevant brand experience for women, you will be on the right track to activating their potential as brand advocates, and as your most valuable asset in reaching out to new audiences and growing the reach of your business online. One of the differences between the message that comes from a brand advocate versus the one from traditional advertising is a sense of genuine passion. Traditional advertising is about talking to you; advocacy centers around a relevant conversation. Retail giant Walmart is using the power of its own customers' voices to reach out to their audience and share their experiences and thoughts. 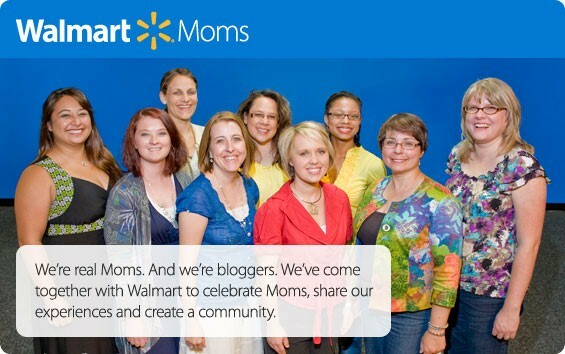 Walmart Moms is a group of real Moms who have "come together with Walmart to celebrate Moms, share our experiences and create a community." The women blog about a whole range of lifestyle topics and the fact that they are voluntary members of this community conveys a real sense of passion. This community-building reflects a down-to-earth quality to the big company, and a sense that they are in touch with their customers. When a new candy company, for example, set out to change the conversation around Halloween candy options in 2012, they strategically sought a group of online social media influencer agencies specializing in targeting women and moms. Blissful Media Group was one of them. The goal was to promote conversation about the brand's confections free from corn syrup, artificial colors, and preservatives among the key household decision maker (and chief Halloween candy buyer) -- Mom -- and then drive them to a specific retailer. "This was a great campaign for our network," says Barbara Jones, founder of Blissful Media Group and One2One Network, a leading women's social media influence marketing agency. The brand smartly tapped into a range of platforms to reach Mom where she was likely to be during that two-week campaign -- reading blogs, on Twitter and on Facebook. In addition to a great incentive, they created fun, informative assets that focused on why their brand was a great choice. Their message was easy to share, and so it got shared -- many times over. One2One Network's community alone generated over 1,000 branded social media posts on blogs, Twitter & Facebook, with close to 6 million impressions during the two-week campaign. While all consumers are most likely to like/follow a brand for special offers, brand advocates are two times more likely to do so because they love the brand and three times more likely for interesting or entertaining content, product news, or because their friends are fans of the brand. So it's worth working on real engagement and enticing content over special offers. Around the world, women are going online and using the internet to share their purchasing information with friends. According to Women and Web Study, a report released by Google India and published by Business Standard, of the 150 million internet users in the country, about 60 million are women. Of those women, 80 percent said they recommend their purchases to other women, and a total of 25 percent said they shared their decisions online. According to data collated by TNS Australia, (also published by Business Standard), of the women with access to internet, about 50 percent said online research influenced their decisions related to products. These already sound like sizable figures: That's 48 million women in India recommending their purchases to other women, 15 million women sharing their decisions online, and 30 million women using online research to make purchasing decisions. If you consider that the population of India currently stands at 1.25 billion people and currently only about 10 percent of the population is online, then you realize what astonishing potential there is for future growth in female online advocacy in the country as more and more people become connected. All around the world, women's online influence is growing, and brands need to adapt their marketing strategies if they want to take advantage of the opportunities this represents. If 91 percent of women feel advertisers don't understand them, don't make the same mistakes when building relationships with your customers online. Get to know your community and don't assume that all women think alike. Women, particularly those who are vocal brand advocates, are social, and don't need discounts and offers to recommend products to friends: love for a brand comes from listening and understanding them, from engaging them in interesting and authentic ways. Working with clients from various industries and of various sizes we have seen this simple truth manifest itself time and again. That is why we at BRANDERATI have built our unique platform in a way that offers creative and custom ways to engage your brand's advocates and influencers in not only relevant to them programs, but also in deeper conversations that would allow a brand to build meaningful relationships for a longer-term impact through organic / genuine brand love and advocacy (not paid endorsements and discounted promotions). Activating advocates is vital for modern brands, and the power of advocates, particularly women advocates, is going to grow exponentially as the world becomes increasingly connected. Business Advocacy Women Marketing P.R.